Murray’s Firearms is the Tucson gun owner’s choice for professional firearm services in Tucson, including firearm maintenance, appraisals, shipping and more. 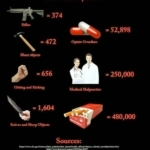 And on another note; more facts about what is killing Americans and funny how tactical rifles is way at the bottom of the list. We will do appraisals of your firearms. Fees are dependent on the amount of firearms and research required. We will sell your firearms on consignment which usually will net you more profit than selling them outright to a dealer. The consignment sales are 20% of the final sale amount of the firearm. We will list the firearm on our website and on line at Gun Broker, the largest internet auction seller of firearms. We will photograph and list up to three firearms for free, as long as you bring them to us to do so. For four or more firearms, there is a $50.00 fee for photographing, listing and handling the auctions. If we don’t sell the firearm(s) you can reclaim them no charge or even sell them on your own as long as you let us know. In listing four or more firearms, regardless of it they sell or not, the $50.00 fee will not be refunded if you should choose to end the auctions or sell the firearms on your own. 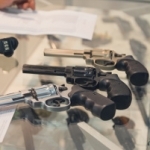 Gun Broker charges a fee now for relisting and selling firearms. To avoid this either requires a “New” listing to be created or we pay the fee. We have raised our consignment fee to 20% to reflect this. Once we have appraised your firearms we will not list them for sale or auction until you approve of the amount we will attempt to sell them for. Once sold, fees will be paid for listing and selling the firearm. We can adjust your desired pricing lower if needed, but only will lower pricing with your approval. This system has worked very well for customers and for us. Please contact us at murraysfirearmsandammunition@gmail.com if you have any questions. 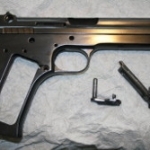 We will ship your firearms for a transfer fee of $35.00 plus shipping costs. We will receive firearms you purchased on line for transfer to you for a $30.00 fee. If you’re an NRA or Pima Pistol Club member, serving in the military, law enforcement, fire fighter, EMS, currently or retired or a veteran of these services, we will do your transfers for $25.00. Understand UPS, FedEx, Post Office do not deliver at a set time and we must remain on site for delivery usually from 8:00 AM until 8:00 PM to ensure receipt of the firearm which may include Saturday. If you select us as your receiving dealer, a lot of on line companies already have our Federal Firearms License on file. We can email a copy of our license to their FFL services if they don’t. What we need from you is your name, order or purchase number and description of what you purchased so the receiving dealer will know which customer order our license ties into. Require a signature acceptance of delivery. This ensures we have signed for and received your firearm. Please forward a tracking number when your seller ships your firearm. We will gladly hold a firearm for you, for up to two weeks but you need to make arrangements for us to do so. 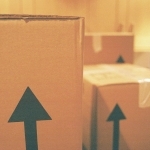 We will charge an extra $1.00 a day after two weeks for storage. Customers who are TDY Contractors, Military, State Department, law enforcement and DHS Agents overseas working to keep our nation safe and are glad to hold on to their firearms for no charge, until they’re back in Arizona to receive them. We accept shipped firearms from private parties. They MUST provide a copy of their states ID/Driver’s License before we will accept delivery of ANY firearms from a private party. This may be emailed to us when arrangements are made to accept the private party transfer. We will conduct the background check for private parties selling firearms locally to another private party for $30.00. Any questions contact us at murraysfirearmsandammunition@gmail.com. 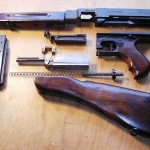 We offer Gun Smithing services at $45.00 per hour with a minimum of one hour. We offer classes on how to maintain and clean your firearms correctly. You may bring two firearms to class to learn the proper methods f care and maintenance. For additional firearms please ask as we’ll be glad to show you if class size and time permits. There is a $5.00 fee per additional firearms over the two allowed to cover cost of materials used in the class. 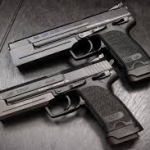 The class is two to four hours long and costs $75.00 for two firearms. Before Duracoat finish was invented, there weren’t many options available to camouflage your firearm. You could buy tape on camo or even patterns to spray paint onto the firearm. We’ve been applying flat enamel based hobby paint to our firearms as it is available in many different colors suited to applying a camo theme to your rifle. The paint suffers through abuse and cleaning solvents and while it may scratch or chip after long term use, all it takes a a brush and some paint to “Repair” the scratch or chip. 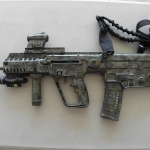 We offer hand painting of your rifle for $75.00. It takes a good four to six hours, plus materials to apply the paint for one rifle or shotgun. You need to let it harden and set for about a week after application and put up with a “Paint” odor for a little while, but when it’s done, it is hard to beat and besides serving a function, it looks good too. On our “Guns and Accessories” page we have pictures of a POF 415, M+M M10 AK, Beretta Model 1200 and a Tavor X95, so you can get an idea of what the color variations may be or as directed. Desert Camo paint can be applied as well. The M+M 10 has been in place about 10 years now. The Beretta 1200 has been painted and in place for over 30 years. Contact us at murraysfirearmsandammunition@gmail.com, if you have any questions.